Ironically, this exact question is addressed in the very book stolen so often. No, it is not the bible or any other religious text for that matter. 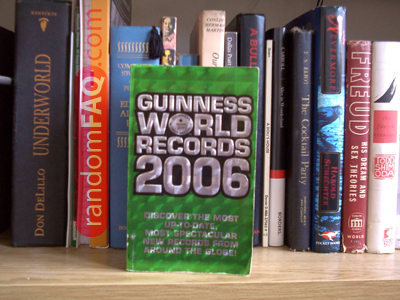 The Guinness Book of World Records is the most stolen book. Rather than set people straight, this sort of information will only cause the book to be stolen more often; thus reinforcing the position the book hold within itself.